Russia in Libya: In Search for a Compromise? The Russian involvement in Libya is largely unclear to most observers, believes Valdai Club expert Abdul Rahman Alageli. However, Russia could play a positive role in the political and military settlement of the Libyan conflict due to its credibility with many actors. 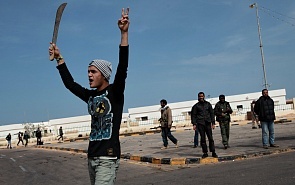 Russia’s policy towards Libya is cautious. On the one hand, it supports Marshal Khalifa Haftar, who leads a massive military force in the east of the country, and on the other, it distances itself from any conflicts with the international community and the United Nations (inclined to support Haftar’s opponent, Prime Minister Fayez al-Sarraj), and seeks to achieve a compromise. “Russian involvement in Libya is largely unclear to most observers", Alageli, associate fellow at the Middle East and North Africa Programme at Chatham House; security adviser in the Office of the Prime Minister of Libya in 2012-14, told valdaiclub.com. "Current information suggests a combination of tangible military support to LNA forces in the East of Libya, while at the same time engagement in talks with actors from all over Libya”, Alageli said. But, according to him, Russia could play a certain role in the settlement of the conflict and also draw international prestige for itself. “The credibility Russia has with many of the actors in Libya and the region means that it can definitely play a positive role in a political and military solution and further support the UN-led efforts either directly or through a parallel process”, he believes. Many armed groups in Libya are actually extensions of these social structures, he said. They feel entitled to the oil wealth – in the situation of a lack of fair distribution and management. “When this is taken into account it is clear that a societal agreement or social contract along with the necessary resource governance mechanisms is needed and currently missing from the debate”, Abdul Rahman Alageli said. “This potential contradiction between military/security institutions and foreign ministries is one of the many reasons that the ability of the international community to effectively mediate a lasting solution between the warring actors has mostly stagnated, but there is a potential for a solution if the relationships formed between Libyan armed actors and foreign military and security apparatus support a political solution,” Alageli concluded.